There is always a tool du jour in online marketing, and the real estate industry is not exempt. The big content of choice in 2012 has proven to be the infographic. Although the actual definition of an infographic should include something about being a visual representation of complex data, in practice they consist of any custom blog graphic that features a few numbers. But before you (or your agency) dedicate time and money to an infographic, I recommend that you pause to consider its value to the reader. There is one important question to ask yourself here: Does my infographic (idea) communicate valuable information in a concise, easy-to-understand way? If the answer is “yes,” it is time to explore how to use infographics to convey complex data and why they are worth the investment. Educating buyers. For an infographic at Heartland Homes, we gathered data from eight sources, used industry insight to interpret it and report it in a way that the average home buyer would understand. It would have taken a consumer hours and hours to decipher the information’s hidden meaning: now is the time to buy in several Western Pennsylvania markets. Instead, they were able to spend that time searching for property in the best locations. Consumer education is power, and it can be harnessed to help both buyers and sellers. Variety of information in one place. For real estate in particular, infographics can bring everything together. In our example above that included eight data sets (from places like Trulia, Zillow and the Census Bureau), one image was able to communicate it all. Graphs showed population growth, maps indicated travel time and tables displayed average listing prices. The phrase “A picture’s worth a thousand words” has never been truer. Appeal and creativity. While an article on a new housing plan would certainly be useful, some may find the method to be a bit lackluster. Using an infographic, a home builder or real estate agency can put their artistry to use. Infographics incorporate color, fancy fonts and images to accompany text captions. All of that should keep the visitor’s attention. Brand awareness. Let’s face it: we are always building our brand. Every time we meet with a potential client, write content for the website, or even punch in at work, we are attempting to build our brand. Infographics can help do this because they illustrate dedication to the consumer. You are invested in sharing your experience and knowledge about a complex industry, and that says a lot about your brand’s promise. Building website authority. Infographics generate a lot of backlinks. Each link that your website receives increases overall site authority, and that leads to more traffic, leads and sales. I don’t claim to be a SEO guru, but I know enough to recommend building backlinks to your website. Each one has a significant effect on your online and offline marketing goals. Internet friendly. The purpose of our website is to be there when buyers search for information. 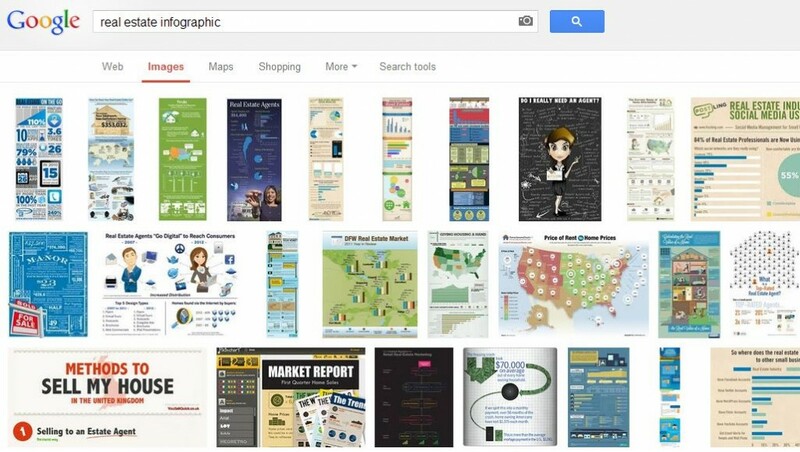 Infographics increase our ability to answer those queries by appearing in Google image searches, being pinned on Pinterest and shared on Facebook. All of those interactions build relationships that can quickly turn into leads. If you take anything from me today, I would like you to remember two things. First, infographics must report something. A flashy, self-promotional graphic does nothing to educate buyers and sellers, which should be the primary goal. Equipping them with valuable information does great things for you and the entire industry. Second, a good infographic can be a great marketing tool. It builds on your brand, expands your online presence and attracts potential clients. And isn’t that what web content should do? My advice: take a look at your website or blog and consider how an infographic can help. Adam Packard is the Marketing Manager at Heartland Homes in Pittsburgh, PA. To see if Adam practices what he preaches, check out his Greater Pittsburgh infographic and let him know what you think in the comments below.